Brad Burud takes a break from the day in and day out hockey talk of the National Hockey League. It's time to talk Christmas gifts. Hockey fans love hockey related Christmas gifts. Gift ideas of all price ranges are discussed, and then hockey author Howard Shapiro joins the show to discuss his new book Kates Really Good at Hockey. 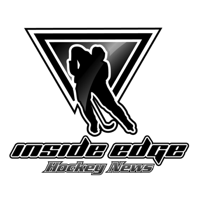 An interesting take on youth hockey and what it teaches kids away from the ice. A great read for the young hockey fan, and a great Christmas gift idea. Then it is time for a listener poll. What is the greatest hockey related Christmas gift that you have received?